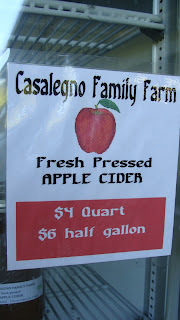 We have the apples, the equipment and the experience! We are now offering small group classes! Our hands on Beginning Hard Cider class will teach you all the basics of hard cider making. 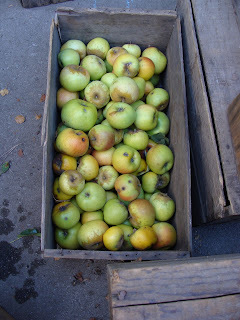 Join us for a few hours as we press apples, talk about different varieties and learn fermenting techniques. 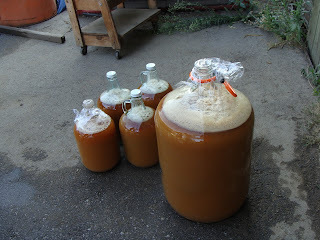 Everyone will leave with at least 5 gallons of cider and take home instructions. We also will be offering a follow up bottling demonstration for those interested. Beginners welcome! We are also happy to reserve classes for your group. Classes will be held on Sundays. Equipment needed: Bring a 5-gallon glass carboy. If you do not have one let us know! Sign up now! Classes fill up fast. We are also offering fun group pressing sessions. If you are already experienced in cider making and are looking for a source for fresh juice or would just like to spend an afternoon on the farm this is a great opportunity to get the apple juice you need for your own uses. Contact us to set up a date! 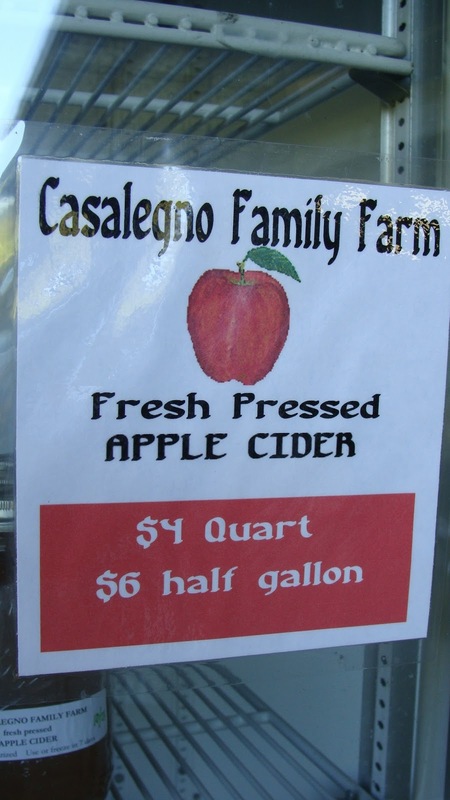 •Cider apples sold for 30¢-60¢/lb – great for baking too! 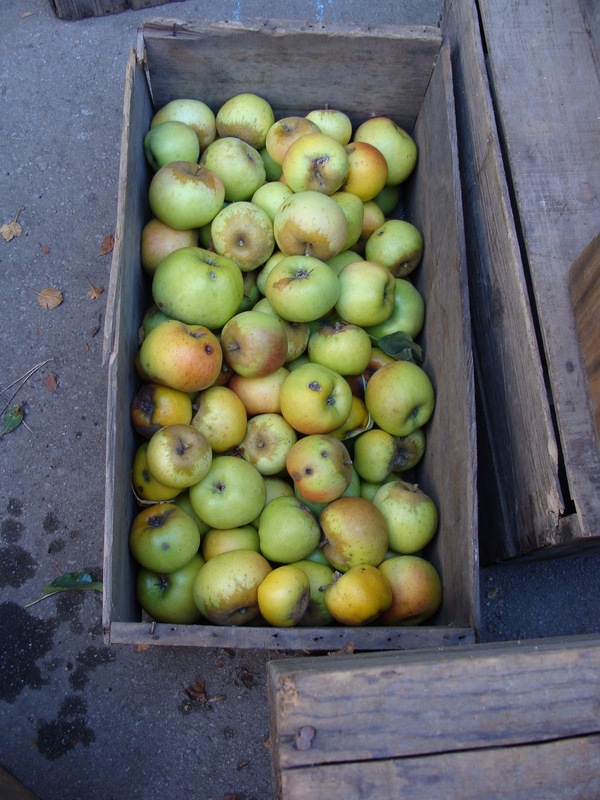 Sunday was our first apple press of the season, and the mix of Newtown Pippin, Jonathan and Granny Smith apples made a fantastic tasting cider! 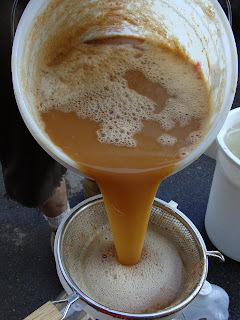 We had help from some really nice folks that wanted to bring gallons home to use to make their own hard cider, and the helping hands really made a fun afternoon. 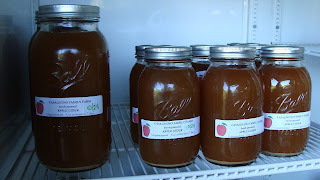 We have lovely mason jars of sweet cider for sale at the farm stand right now - quarts for $4 and 1/2 gallons for $6. 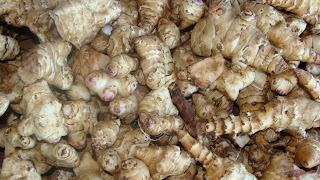 Right now we also have some amazing freshly dug Jerusalem Artichokes, or Sunchokes, for sale at the stand too. These starchy, knobby tubers are actually related to the sunflower, not the artichoke, and can be eaten many ways. This website has some great info, history and recipes for those of you that are interested in learning a little more and maybe trying something new! Preheat the oven to 400F. Toss the chopped sunchokes with the olive oil, salt, and pepper. Arrange the seasoned sunchokes in a single layer on a baking sheet or shallow roasting pan. Roast the sunchokes for 40 minutes, until they have turned golden brown. Serve the sunchokes hot from the oven or toss with dressing and serve them cold as a salad. Although the weather has been so warm, the summer growing season has truly come to a close. But there are still many great things here on the farm! Along with these items you can still get the last of the heirloom tomatoes, sweet peppers, Comice pears, winter squash, tomatillos, and lots of apples of course. And the broccolini, beets, carrots and greens are on their way to finish up the year.